This padded shirt is a lace-up cotton gambeson that can be worn alone or it looks great as an undershirt with our leather jerkin. 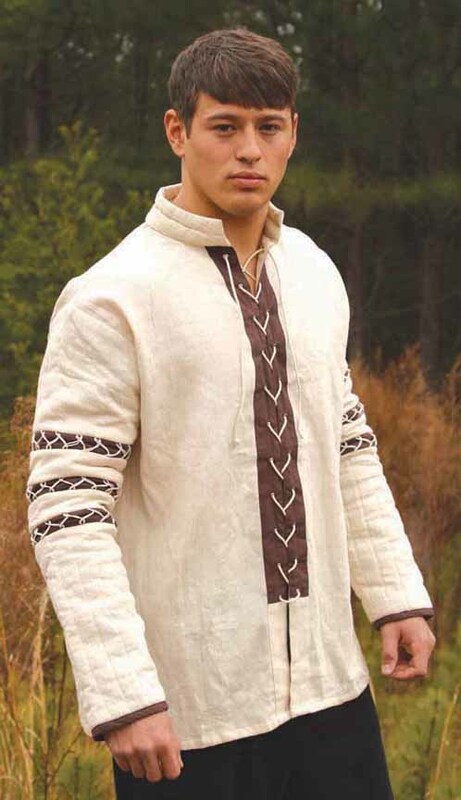 The sleeves are decorated with three bands of chocolate brown accented by a Nordic string design. Dry clean only. See size chart below. To order, choose your size from the dropdown list, then click "Add to Cart."